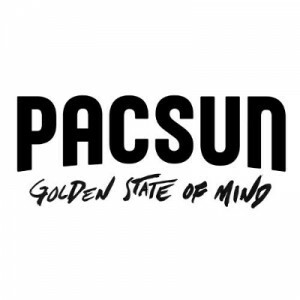 Pacific Sunwear of California, Inc., or PacSun, is a US-based retail clothing brand. The brand follows the culture and trends of Los Angeles and offers apparel and other products for contemporary wear, streetwear, and active wear. The company was founded by Jack Hopkins in 1980 and began as a small surf shop in Newport Beach, California. The shop catered to both men and women and sold products such as jeans, tees, swim wear, footwear, and accessories. As of April 2016, PacSun had over 500 stores operating in the US and Puerto Rico. And it has since partnered with famous public figures for product collaborations. The company offers its employees benefits such as paid leave, retirement plans, dental, vision, medical, and life insurance. There are also great store discounts for the employees and incentive programs for those with excellent performance. The creative and energetic working environment is a key factor in employee satisfaction. Some perks of working in the company are that they have an on-site fitness facility, a café, a wellness room, and a mother’s room. How old do you have to be to work at PacSun? The minimum age requirement for entry-level positions such as sales associates in PacSun is 16 years old. While for assistant managerial positions, the age requirement is 18 years old. The company offers jobs ranging from entry-level retail jobs to managerial positions. Common duties are in customer service, sales, marketing, product management and administrative tasks. The company also provides paid training and career advancement programs to its employees. Sales Associate: A Sales Associate provides customer service. Duties include greeting customers, stocking shelves and organizing the display, operating the cash register, handling transactions, and answering questions about products, services, and store merchandise. They must project a positive demeanor and must ensure customer satisfaction for every transaction. Assistant Manager: An Assistant Manager focuses on entry-level staffs and maintenance of store locations. They report directly to the store manager and provide assistance with the daily schedule and merchandise. They are usually the first and last person to arrive and leave the store each day. Store Manager: A Store Manager’s primary duties are to hire and train new employees, supervise subordinate employees, take the inventory, file sales reports, process payrolls, and coordinate with product shipments. They work full-time, including night shifts, weekends, and holidays. The position requires the applicant to be 18 years old and have two years of related experience in retail. Assistant Buyer: An Assistant Buyer is responsible for assisting the buyer in all aspects of the business classification. They manage the receipt flow, and build partnerships among the department and external partners. Their other duties include business analysis, brand management, market research, product development and some administrative work. Women’s Graphic Designer: They are primarily tasked with assisting in designing art, graphics, and textile patterns for junior product categories. Key duties include preparing the necessary artwork for manufacturing/production – from designing to color separation. Other tasks are presenting new ideas based on current trends and working closely with production to review colors and samples. Strategic Insights and Analytics Manager: They are primarily tasked with assisting strategic development and execution, which includes online marketing merchandising strategies and campaigns to all stakeholders through comprehensive reporting and analysis. Other key duties are providing competitive insights related to online selling strategies and market trends, forecasting or predicting customer behavior based on trends, and writing informational and analytical reports. Material Handler: They are primarily tasked with performing merchandise transactions and maintaining inventory accuracy by skillfully using electronic and administrative tools. They move, store, retrieve, pack, unpack, load, unload, and/or stack products and materials using manual or mechanized material handling equipment in compliance with product handling standards in a safe, accurate, and efficient manner. Technical Designer: They are primarily tasked with the fitting and construction of garments for on-time delivery. Their duties include directing fitting sessions on a live model to evaluate garment’s fit and style, establishing and maintaining a library of patterns of basic blocks, and establishing and maintaining brand fit, specifications and construction consistency. Product Manager: They are primarily tasked with the management of the pre-production and production stage of product development to provide consistent quality, and negotiating or finding alternative sourcing opportunities. Other duties include initiating proactive external communication with vendors to ensure the pre-production process is on schedule and managing the final approval process for warehouse flow and payment release. Loss Prevention Manager: The Loss Prevention Manager is responsible for disseminating and implementing all policies and procedures for preventing losses to the company. Other tasks include working with all levels of both store and corporate management to carry out preventive measures to minimize possible loss, and to detect and correct them if they occur. To apply, you may either visit their stores or visit their website and access their employment portal. View the job listings, and apply for the job you want. Fill-out the application form and provide all the necessary details then submit. The application form is available online and can be accessed once you log-in to their employment portal and apply for one of the jobs listed there. It is accessible through their company’s website in the Careers page. For online applications, make sure to constantly check your email for any response. For personal applications, be sure to be professionally dressed when picking up and submitting your application form. In preparing your resume, make sure to completely highlight all the important and relevant information, including your educational background and skill sets, for the position that you are applying for. You may also include other relevant certifications in your resume. For the interview, dress professionally but do not forget to remember that trendy styles are key. This is to make an impression that you are mindful of the current trends in the fashion scene. The company is a dynamic organization that promotes creativity and excellence. They have a fun, energetic and relaxed environment. They foster a highly diverse workforce and constantly strive to be innovative. They launched a nationwide campaign in 2011 which featured famous athletes and went on to expand their reach. They have also collaborated with Kylie and Kendall Jenner for a new fashion line. The company is known for their style that embraces diversity and reflects the colors of California. They are known for their trendy apparel for skating, surfing, swimming which caters to the youth. Social responsibility is something that the company takes seriously. They make sure to work only with suppliers who conduct business in a fair and violence-free manner. PacSun believes in the protection of human rights, and preservation of the environment. 1 How old do you have to be to work at PacSun?